While the eyes of the world were focussed on the Presidential elections in the United States, another significant election for the international community was also taking place. On November 8, the Chinese Communist Party opened its 18th Congress at which an opaque election procedure saw Presidential power transferred from Hu Jintao to Xi Jinping. Under the procedure, Xi was named general secretary of Party and he will become President next March. It was not an election that the world could follow in the media, nor was it one in which public debates, advertising campaigns and media coverage of political meetings gave global audiences an understanding of the positions of the man who would be President or the policies that he would be likely to follow. While nations speculated over who would be better for them – Obama or Romney – there was no means of speculating over Xi. The world, like the Chinese people, simply accepted that the Chinese Communist Party would change its leader after 10 years, and the decision on the new person – however it is made – would remain a process and a conclusion known only to the hierarchy of the Party. 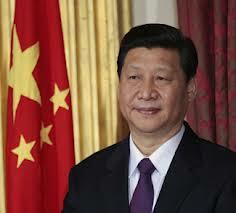 Nonetheless, Xi will wield enormous power in the world and his decisions will affect the lives of every nation. China is now the world’s second largest economy after the United States. Economically, its reach is far and wide with investments in every continent and increasing influence on governments worldwide, but particularly in developing countries. With some governments, anxious to receive and maintain China’s aid and investments, the Chinese government has begun to influence their decision-making, on issues important to China. In its own hemisphere China has been flexing its muscles making it clear that it expects its neighbours to comply with the Chinese government’s interests. Recently, there has been a major diplomatic row between China and Japan over the ownership of what Japan calls Senkaku islands (China calls the Islands “Diaoyu”). The Japanese government alleges that “it is a well-known fact that the People’s Republic of China began to claim its territorial sovereignty over the Senkaku islands in 1970, and it was only after the UN Economic Commission for Asia and the Far East investigated and reported possible reserves of petroleum under the water of the islands in 1968”. Whatever the reason for the claim, the Chinese government sent battleships to the islands, and protests were organised in China outside the Japanese Embassy and Japanese-owned businesses. Xi is 59 years old. In the history of the Chinese leadership, he is a young man. But, he will be surrounded in the Councils of the Communist Party and government by the old guard. Even if he has tendencies to reform, he will be held in check by those who feel that China’s stability resides in things as they are. There will be little or no difference in the policies that he will pursue. In a major policy speech in Washington earlier this year, Xi called for “increasing strategic trust and reducing suspicions while respecting each other's core interests, such as the ‘one-China policy’ that opposes Taiwan and Tibetan independence”. He has made it clear that the positions on Taiwan and Tibet will not change. There will be no right to self-determination. China regards them both as integral to China and so they will remain. Internally, on the political front, dissidents will not be tolerated. Before the 18th Congress, dozens of dissidents were locked-up. On the economic side, inflation has to be brought under control at a time when growth in the economy is cooling. Already down from its average 10 per cent in recent years, growth is expected to decline to around 8 per cent. Such growth may be regarded as excellent for most countries, but not China with a population of 1.3 billion people, and millions still living in dire poverty. Xi will also have to cope with Chinese workers demands for higher wages and better conditions – all of which will push up the costs of Chinese products on the world market. And, there he will face his biggest domestic test. China’s thirst for resources to meet its development needs will continue – even if at a decelerated pace. And, countries will be lining-up to sell it commodities. But, increasingly the European Union and the United States will confront China in the World Trade Organisation (WTO) over suspected “dumping” of Chinese products, and unfair subsidies to Chinese manufactured goods. Once these disputes remain in the realm of the WTO and do not end up in bilateral confrontations and unilateral actions, the order of the international system will be preserved. China’s economic interests have been well served by the international system – albeit a capitalist one. It has every reason to continue to stick to the rules of the game. However, it is significant that shortly after Australia won a non-permanent seat on the UN Security Council in September, China, which is now Australia’s biggest two-way trading partner, warned the Australian government not to “side with the US” in making its decisions on the Council, making it clear that it is not averse to using its economic clout to advance its political interests internationally. As far as the countries of the Caribbean are concerned, Xi will undoubtedly continue to insist on its ‘one-China’ policy brooking no actions that encourage Taiwan or Tibet’s claim to a legitimate place in the international community. Unquestionably, he will respect the commitment given by the previous Chinese administration of Hu Jintao to provide commercial loans of US$1 billion for co-operation projects on infrastructure construction whose basis is a Chinese foothold in the region.